IWC puts its Da Vinci collection in the limelight this year with several new models launched at the SIHH. A facelift of the various lines with the addition of classical design elements has allowed the Da Vincis to emerge stronger than they ever have. 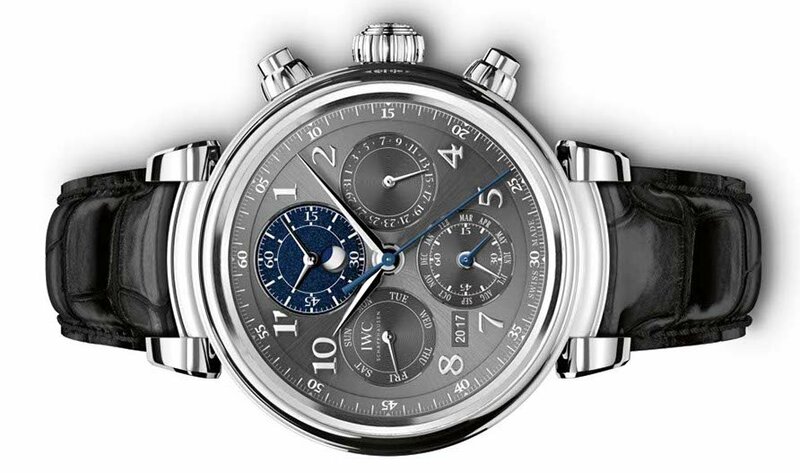 The Da Vinci Perpetual Calendar Chronograph is the frontrunner in IWC‘s best Da Vinci mode to date, and constitutes a first for the brand as it combines the hour and minute counters with the perpetual calendar’s moon phase display in a single subdial, which was made possible through a development of the IWC-manufactured 89630 calibre. The perpetual calendar works with the utmost precision: in 577.5 years, the display will diverge by just one day from the moon’s actual course! It displays the date, month and day of the week on three subdials, while a small window in the bottom left-hand section of the dial reveals the four-digit year display -one we feel could have been a bit bigger or with a stronger effect, to match the other neighboring displays. The 43mm case is available 18-carat red gold and stainless steel versions with matching hands and appliques in the dial. The design of the Da Vinci Perpetual Calendar Chronograph steers away from its predecessor, the 1985 Da Vinci Perpetual Calendar, as the crown and the two push-buttons go from round to cylindrical. A glance through the transparent sapphire-glass back cover reveals the sophisticated design of the movement, which has blued screws, a red gold rotor and various types of decorative polishing on the bridges. Another model worth mentioning is IWC’s watch for a good cause, the Da Vinci Chronograph Edition “Laureus Sport for Good Foundation”. Every year since 2006, the Schaffhausen watchmaker presents an exclusive special edition for the Laureus Sport for Good Foundation. Part of the proceeds from the sale of these watches goes to the Laureus Foundation and contributes to the funding of its projects aimed at helping disadvantaged children and young people. 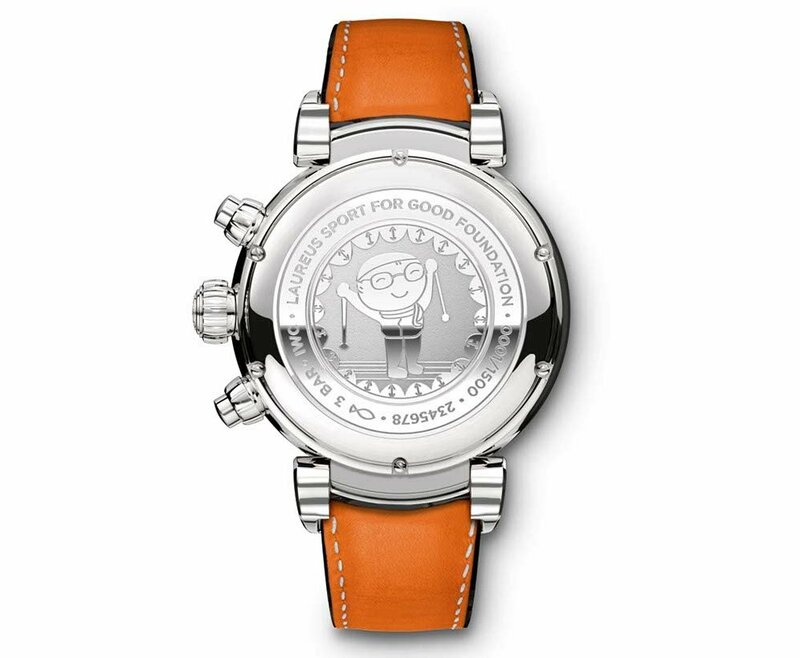 The detail we find to be so adorable is the picture on the back of the watch, drawn by a Chinese boy who won the global children’s drawing competition. It’s just so cute! The blue dial rests in a 42mm case whose newly developed moving horns with curved lugs are held by black alligator leather Santoni straps. 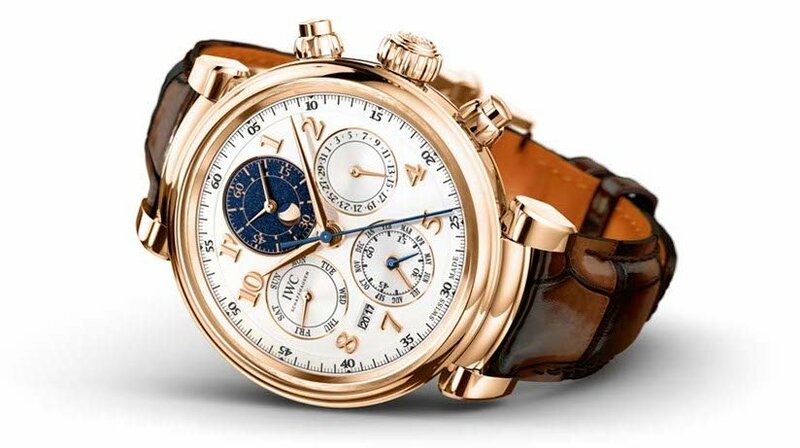 The chronograph shows elapsed minutes and hours on a subdial, so that the stopped times can be read as if on an analogue watch. IWC Pilot’s Watches Soar At SIHH 2016. Next Post SIHH 2017: Roger Dubuis Partners With Pirelli!